Maybe it’s my Andean lineage that somehow, subconsciously nudged me toward mountain biking, first leading me to become an enthusiast in the pine forests of New Jersey and later in the Southern Rockies of New Mexico. Once, while living in Santa Fe, New Mexico, I traveled to Peru for a cousin’s wedding, and on a side trip to Cuzco, I understood why I might have been drawn to the blue skies and high-altitude living of the Southwestern United States: It just felt right. While I might have daydreamed of mountain biking along the Inca Trail and even mused about setting up a mountain bike tour business, the idea of putting knobby tires to the ground where the Incas once trod felt utterly daunting. 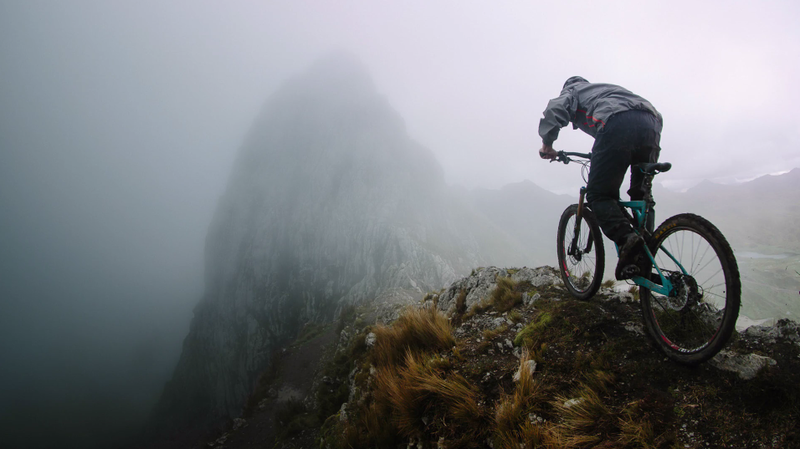 The filmmaker and mountain biker embarked on just such an adventure in Peru’s Cordillera Huayhuash. The mountain range is home to the country’s second-tallest mountain, Yerupajá, at 6,617 meters (21,709 feet). Its 6,344-meter-tall (20,813 foot) Siula Grande — and a failed ascent — was the subject of the 1988 book, “Touching the Void,” and the eponymous 2003 documentary film. The film,”Huayhuash,” captures some harrowing moments and beautiful scenery. And again, thanks to my fellow cycling enthusiast friend Josh in Jakarta for passing along a link to the video. Three friends attempt to tackle Peru’s Cordillera Huayhuash. A film by Joey Schusler. Brilliant, just brilliant and what spectacular filming. Thank you. I dream of doing a trip like that one day! Thanks for reading. It’s just superb. Me and my MTB, well, we have a bit of an odd relationship. I had a bit of a nasty accident and ever since, I’ve mostly ignored the bike and stuck to my running or walking. However, I want to change all of that very soon. Not great on the downhill though. I think everyone with a MTB has a few stories like this — especially if you’re doing it right. I had a nasty gash on my leg from where the chainring caught my thigh as I tumbled head-over-heels going down a ski slope on my bike! I was done — for the day, at least! Damn. Glad you are still around to tell the story. I ended up in a Doctor’s tent being pumped full of Ketamine and thought I was in the circus. Oh, my goodness! Glad you’re still around, too. Circuses can be fun, but sheesh!